Google or Facebook. Where should you put your new patient marketing dollars? It’s not cut and dry. Many digital marketers pit Google AdWords and Facebook Ads against each other. After all, one must be “better” than the other, right? In reality, it depends on your practice. AdWords and Facebook Ads can complement each other in a number of ways. Below we outline the differences between these two platforms, and how each one can attract more patients to your office. Google AdWords and Facebook Ads follow a similar concept: Each time someone clicks on one of your ads, you pay a fee (“pay-per-click (PPC) marketing”). The way each platform works, however, is quite a bit different. Google AdWords works like an auction. 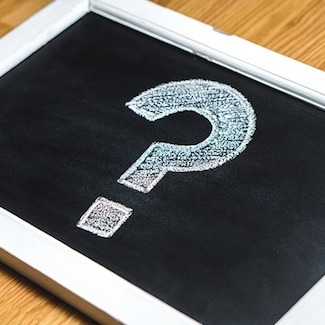 Whether or not your ads display on Google’s search results – and, if so, where they are placed – depends on several factors. To name a few: the keywords you target, the budget you set for each keyword, and the quality of your ad. AdWords has a lot of versatility in how you run your campaigns. You can set a daily budget (you’ll only spend what you want to spend), choose any keywords you prefer, and activate (or deactivate) your campaigns with a single click. Example campaign: Say that you practice in Chesterfield, MO, a suburb of St. Louis, and you specialize in sports chiropractic. You place a maximum bid of $6.00 on the keyword, “Chesterfield sports chiropractor.” The goal of this campaign is to attract potential patients who are looking for a chiropractor and reside within 20 minutes of your practice. Your ad gets 30 clicks that result in 4 new patients. You paid roughly $45 per new patient. Facebook has, by far, the largest customer base of any social network. And with versatile targeting options, it can be a lucrative marketing channel. Facebook Ads and AdWords are different in that Facebook is a form of “interruption” marketing. 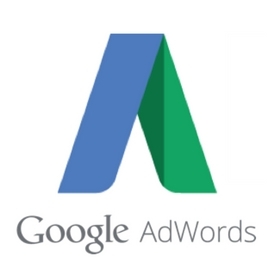 AdWords targets prospective patients who are actively searching Google for chiropractic care. Meanwhile, Facebook Ads “interrupt” users who are not actively searching for a chiropractor, but meet the targeting criteria you have in place. Now, that doesn’t necessarily make Facebook Ads any less effective. Such interruption is offset by lower costs per click and unparalleled targeting capabilities. While you have basic demographic targeting options with AdWords, with Facebook you can narrow down your audience based on age, gender, interests, behaviors, and location. Example campaign: You practice is in Newberg, OR, a suburb of Portland, and you specialize in pediatrics. You run a Facebook ad targeting young mothers who live within 20 minutes of your practice. You spend $150 on an ad that runs for 2 weeks. Three families book an appointment, resulting in a cost per patient of $50. It’s the million-dollar question. Unfortunately, there’s no definite answer. Facebook Ads and AdWords each have their own advantages. Not to mention, one platform might work better for one practice than it will for another. For example, AdWords can be much more expensive in jurisdictions with high competition. If your marketing budget is limited, Facebook might be a better place to start, as you’ll likely pay a lower fee per click. Offers precise control over your budget by allowing you to adjust bids for each individual keyword. 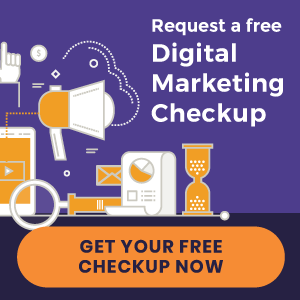 Delivers highly qualified leads, because rather than being interrupted, Google users are actively seeking a chiropractor. Advanced analytics allow you to monitor the performance of every keyword you bid on and every ad you create. People share all sorts of details about their lives on Facebook, which gives Facebook Ads excellent targeting capabilities. On a cost-per-click basis, Facebook Ads are significantly less expensive than AdWords. You have the ability to enhance your ads with images and videos. It can help with branding for those who keep an active social profile. Who Will Manage Your Campaigns? Getting started with AdWords or Facebook Ads is easy. Running profitable campaigns that produce a steady flow of new patients is more difficult. In fact, about 60 percent of small business owners say that for their business Facebook advertising misses the mark. How could that be? Perhaps they’re do-it-yourselfers who have yet to crack the code. Or, their PPC provider has taken a cookie-cutter approach that doesn’t appeal to their ideal patient. Mismanaged campaigns will quickly drain your budget while providing little or no result. There are many reasons PPC campaigns fail. Targeting the wrong keywords and writing uninspiring ads are two of the most obvious culprits. The much lesser known reason? Not integrating your PPC campaigns effectively with your practice website. That means having custom landing pages for each ad built to convert new patients. This is an afterthought for most PPC providers, especially if they don’t have control of your practice website. After all, it’s a time-consuming process. The reality is, your PPC campaigns are no different from your other marketing initiatives (email, blogging, social media, etc.). They should all lead back to your website. This is a major consideration when choosing a PPC provider. And that’s why the ideal solution is choosing an integrated website service that manages all your digital marketing initiatives. Do you have experience serving chiropractors? Do you report on campaign performance? What monthly tasks do you perform to manage my campaigns? How will my campaigns integrate with my website? 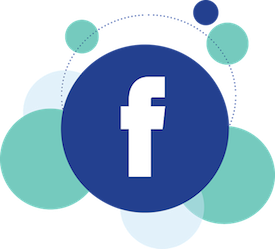 How will Facebook Ads or AdWords produce more new patients for my practice? Still not sure whether PPC is right for your practice? Learn how Perfect Patients manages AdWords and Facebook Ads for our clients. « Introducing New Chiropractic Websites for Swihart Chiropractic Wellness Center and more!